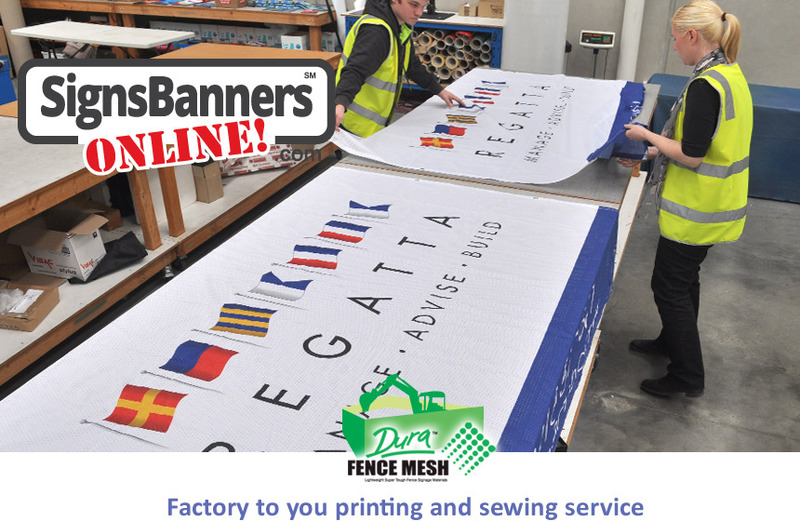 Superb printing acceptance and high resolution prints are a clear benefit for customers who want to use fence banner sign advertising for their rental fences and hoardings. 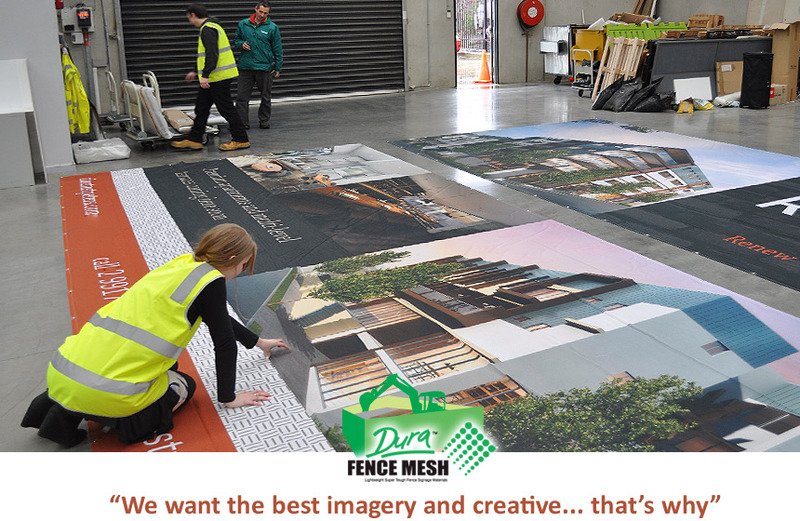 Lightweight and super tough the DBFM fence mesh polyester material is a tight weave and whiteness. 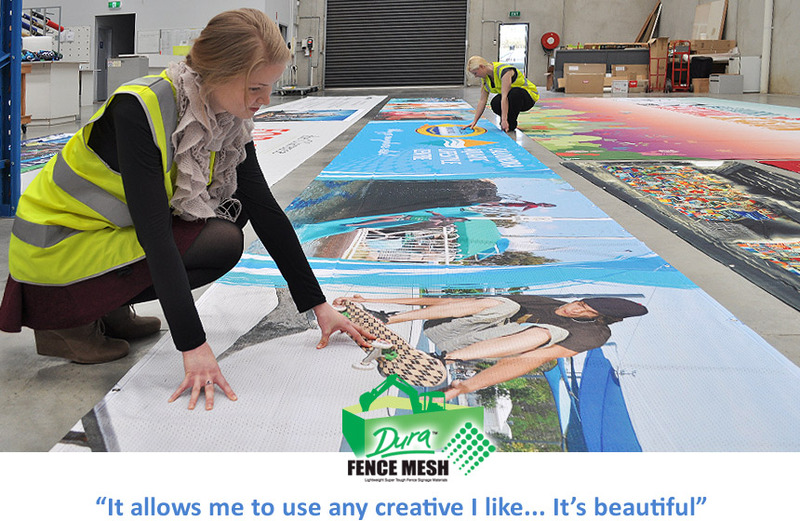 The aeration allows sufficient pass through whilst showing maximum color printing. 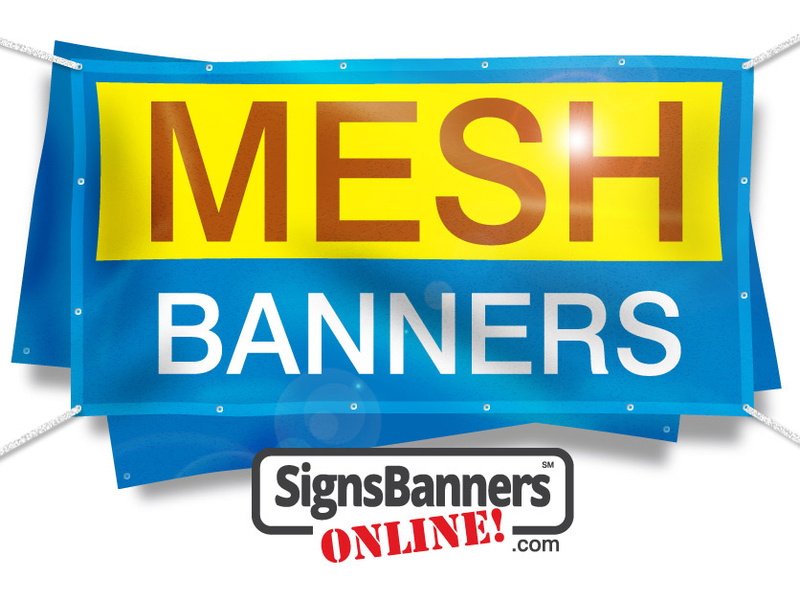 Most popular sign banner printing companies use as a main source of shade netting with printing. 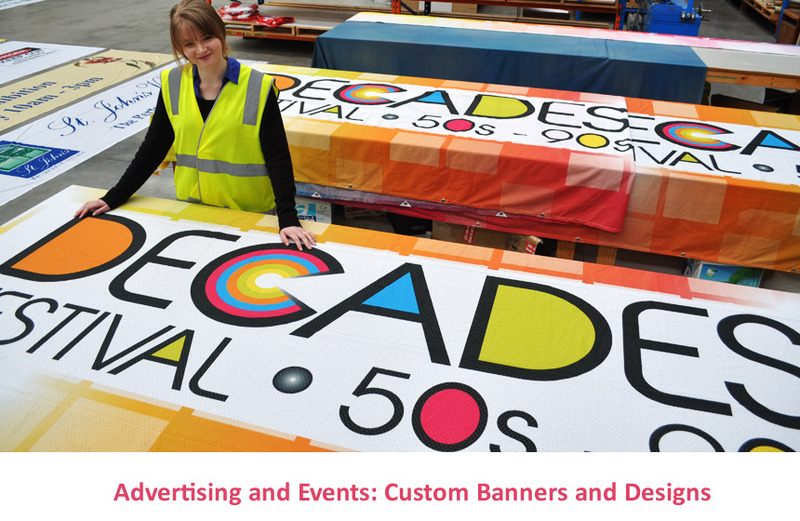 Setting a high quality standard means graphic and creative design firms USA can rely upon a successful business line for outputting their creative printing and banner sign manufacturing... all direct from the factory. 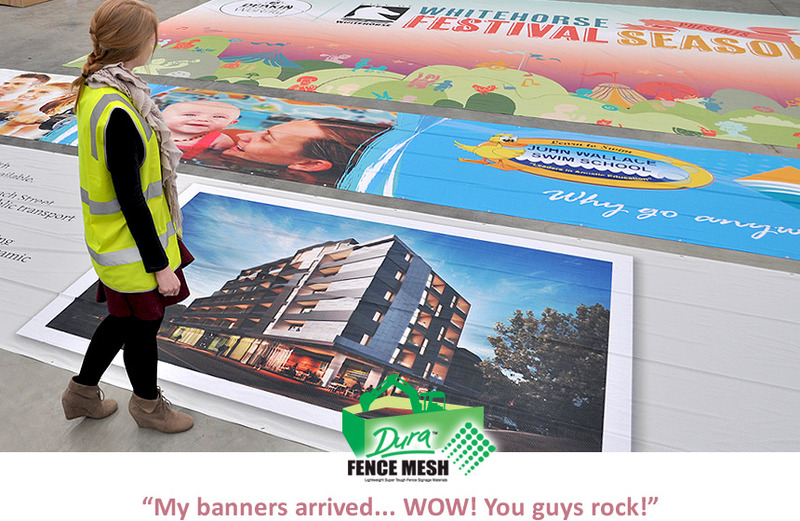 Advertising and printing on netting is a great way to highlight your community events and functions. 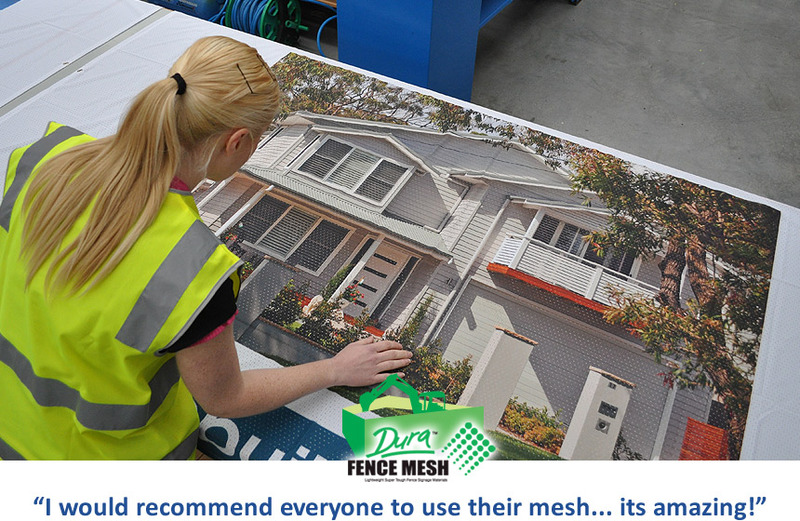 The netting is lightweight and easy to fit on poles or tie to uprights. 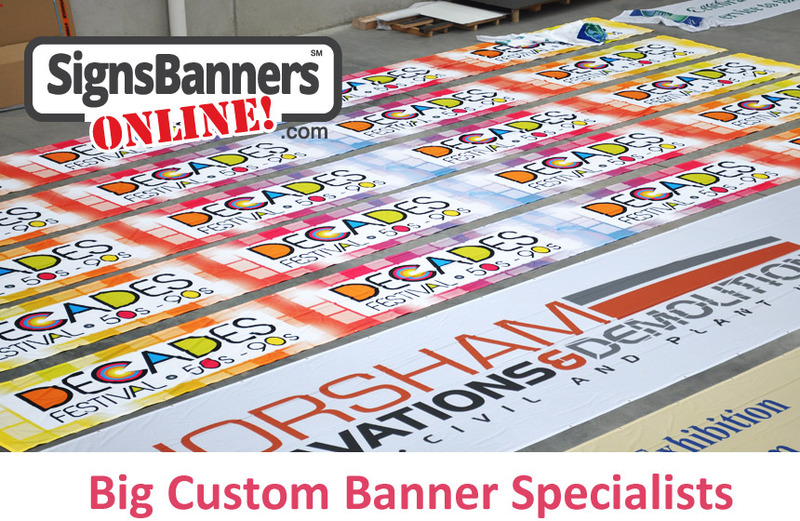 Now also all our New York banner customers can enjoy using signs banners online for all their advertising signage needs.